As the three of you know, I have, on occasion, taken up rather a lot of space here with distractions and speculations on such ‘edge science’ topics as the paranormal, aliens, and various anomalies seen both on the Earth and elsewhere. In June of 2008 I began posting what was originally planned to be just a simple three-part book review of the capacious turd called Dark Mission by Mike Bara and Richard C Hoagland, founder of The Enterprise Mission, recipient of an Angstrom Medal, former science advisor to CBS News and Walter Cronkite, author of The Monuments of Mars, co-creator of the ‘Pioneer Plaque,’ originator of the ‘Europa Proposal,’ and principal investigator of The Enterprise Mission which, to my own admitted surprise, ballooned into a much larger series than intended. During that period I mentioned that I would, one day, post what I hoped would be a considerably shorter look into some of the additional Apollo/NASA lunar nonsense put forth by a former Hoagland acolyte called Keith Laney. The last four years of my life since I began those posts, if you’ve managed to follow anything I’ve written other than bashing Food Network and ridiculous advertising, haven’t precisely been terribly good ones, neither financially, personally, mentally, nor any otherly, so my little sideways excursions into these areas of minor relative interest have been few. And though it’s not exactly as if things have just suddenly got more than only marginally better for me, my recent purging and ritual cleansing of the dead weight from my Anomaly Stuff folder, as reported here, had me stumbling upon a couple of smallish items of sufficient annoyance to write about. I do still plan on posting the Keith Laney bits, however; so don’t for a moment think it’ll be seven years or more in the offing like it’s been since Hoagland last promised the world his ‘extraordinary Part 7 conclusion’ to his lavish Seven Part series on Iapetus told in six stunning chapters with heaping great giant graphics and loads of important Italicised words. If you’ve not read much of this blog, and most of you surely haven’t, it might be of some value to note that, at one time, it would not have been too far off the mark to describe me, in the words of Expat at The Emoluments of Mars, as one of the ‘Branch Hoaglandians.’ But I got better. Especially when I realised that he was beginning to take those first tentative baby steps towards a soft padded cell in espousing both the utterly preposterous theory of what he calls ‘ancient glass domes’ on the moon (and the corresponding ‘old eroded arcologies’ masquerading as nearby mountains) and his rather breath-taking ignorance of or shocking disregard for basic concepts taught in first year photography classes. So as I set about purging the aforementioned dead weight, I rediscovered a link to Hoagland’s NASA… Kennedy… Obama Connection — to 2012! video from Chet Snow’s ‘Secrets’ Conference held in 2009. It’s in 14 parts but saves you buying it for $24.99 of your hard-won cash from the ancient link on Hoagland’s site. This presentation was done shortly after Hoagland had been seen on SyFy Channel’s staggeringly dull 2012: Startling New Secrets hosted by Lester Holt which was neither startling nor full of new secrets, expect for the laugh-out-loud hilarious comment Hoagland made in absolute serious dead-pan in which he stated he originally looked at the entire 2012 idea with ‘amused, objective interest.’ You can watch the SyFy special here, if you’re inclined. You’ll need to scroll down to part 1 and then hop round a bit for the 9 parts, but it’s all there. He references a slightly cropped version of the photograph on your left (and you can see both versions here if you scroll down some 3/4 of the page), taken at the Anthropology National Museum in Mexico City on 16 April 2009. 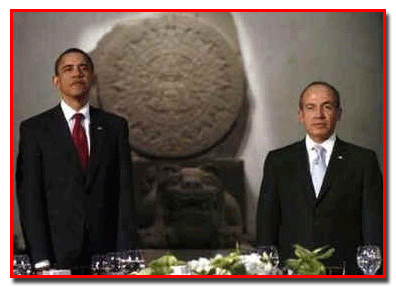 In it are Presidents Obama and Calderon standing before what is known as the Aztec Calendar Stone. According to Hoagland, this stone was unearthed ‘several hundred years ago’ when, in actuality, the stone had been discovered more like a couple of hundred years ago on 17 December 1790. So relative to the time this video was made, only 219 years earlier. He also claims that President Obama had ‘requested specifically to be photographed in front of the calendar.’ He does not back up this claim with any facts or citations and I’ve not yet found verification of this notion, as it is now more than three years later. Doesn’t mean it’s not true, but I would certainly like to see the information for myself. We never do ‘see why,’ of course, as Hoagland does not ever get round to connecting those particular dots and, sadly, you have to struggle through the full video to find that out. Sorry for spoiling that for you. 1) The Gregorian Calendar does not come to an end on 21 December 2012. I have a recent copy which clearly shows dates through 2013, 2014, and so on, including the Zombie Apocalypse on 22 December. 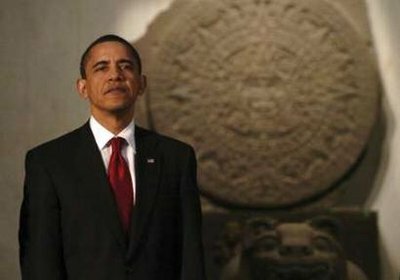 2) The Mayan Calendar also does not come to an end on 21 December 2012. The 13th Baktun does. And do you know what comes after the end of the 13th Baktun? That’s right, the 14th Baktun. 3) I realise I’ve just been down this road in recent weeks, however it is neither ‘an accident’ nor ‘coincidence’ nor ‘serendipity’ nor even vaguely of any intrinsic value or interest that the Gregorian Calendar date of 21 December 2012 is what we have reckoned to be roughly concurrent with the end of the Mayan 13th Baktun. It’s all down to maths. And I’m simply terrible at maths. But the fact of the matter is, the Maya understood that the long, slow wobbling of the planet we call Axial Precession, or Precession of the Equinoxes, was a period of some ±26,000 years – or 25,600 years by some calculations – and they broke that into five smaller bits of ±5126 years. Once the ancient Mayan counting system was deciphered and finally rendered understandable – in the 1830s – and our own Gregorian dates were glommed on, it was determined that what we consider to be 3114BCE was the beginning of the 13th Baktun. 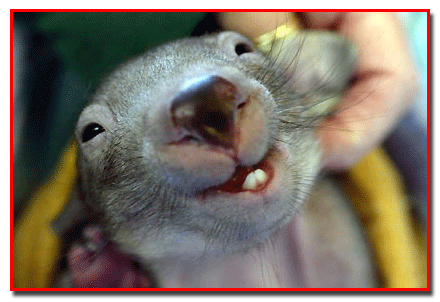 Add 5126 to that and – voila! – you have 2012. And it’s no more miraculous than saying it’s 5772 in the Hebrew Calendar or that Tyrannosaurus Rex had some manual dexterity issues. 4) The Maya did not use GMT. Idiot. Nor did Pope Gregory. It wasn’t established until 1675. As far as Hoagland’s subtle implication (at least in my view) that he ‘discovered’ this marvellous convergence, it might be of interest to note that I believe it was actually archaeologist and anthropologist Dr Michael D Coe who first brought the 2012 date to speculative light sometime around 1966. And even then he wasn’t entirely certain of the exact date. The 21 December 2012 date was posited, if I am correct, by Robert J Sharer. Not Richard C Hoagland, founder of The Enterprise Mission, recipient of an Angstrom Medal, former science advisor to CBS News and Walter Cronkite, author of The Monuments of Mars, co-creator of the ‘Pioneer Plaque,’ originator of the ‘Europa Proposal,’ and principal investigator of The Enterprise Mission. Now in 1583, when Pope Gregory and his team of, uh, experts headed by, uh, Clavius, who was an expert mathematician from Germany… when—when they re-calibrated the calendar and switched from the Julian calendar to the Gregorian, the odds that it would all sync up precisely to the whole 2012 mythology – and furthermore that it would it would sync up so that it says 11.11, which is a code for ‘look at the physics behind 2012’ – is just impossible. What that means, and this is something which did not make it into the [SyFy Channel] special, but what that means is that the entire global calendrical system we now live under is in fact being paced by the Mayan calendar and the countdown to 2012. That means that somehow… somewhere… someone thought that 2012 was really important and they sought to memorialise it in the very fabric of the temporal monitoring of our lives, day by day by day, since 1583. History – and reality – are, of course, quite different. I’ve said before I’m not any sort of expert on the various cultures of Mesoamerica – it’s just not my thing. I freely and openly admit that my interests in places like Puma Punku, Tiahuanaco, Machu Picchu, and, by obvious extension, Teotihuacan, Tikal, and so on, are somewhat limited and don’t often include the deeper cultural aspects. However one does not do research of any kind and come away with absolutely no historical knowledge or information. Or at least I don’t. So it’s simply a matter of historical record – something you can find in most any textbook on the subject – that the initial contact between the Mesoamerican cultures and the Spanish Conquistadors took place in about 1517. The famous Hernán Cortés didn’t make it onto the scene until about 1525, bringing Jesus and typhus to the masses. Feel free to check that for accuracy. I’m fairly certain that’s right. It’s also a matter of historical fact, as I briefly indicated somewhere above, that the Mayan numeric system hadn’t been sorted until roughly 1832 by Constantine Rafinesque. The glyphs used for the written language, after a wholesale burning of thousands of Mayan books and records around 1562 by the overzealous Christian friars, were left almost completely untranslated until about 1930 when Benjamin Whorf – part of the famous Sapir-Whorf Hypothesis duo – figured he’d finally got some of the phonetics worked out. ‘Non so, Eminenza,’ someone would surely have replied with a shrug. Those few who survived the cataclysm spread out across the globe and went on to establish new cultures, came into contact with fledgling civilisations sprouting up in various places, and helped spread their knowledge and wisdom – their only surviving legacy. That knowledge was passed on through places like Stonehenge, Newgrange, Callanish, Tiahuanaco, The Great Pyramid and other maddeningly obtuse things. And that’s great. Personally I have no problem with at least some of this. Neither do people like Graham Hancock, who has used this very notion as the background of several of his books. What I do have a problem with is the date. According to the deciphered Mayan Calendar, the 13th Baktun cycle began – probably after a flood – in what we would call 3114BCE. If you believe James Ussher, the world began on Sunday, 23 October 4004BCE at 9am, as god slept in a bit after the chaos of Saturday night. That’s only 890 years from the start of the world to The Flood, rather rushing things a bit. On the other hand, most Flood scenarios place the time much further back in history, almost as early as 10,000BCE. Some modern researchers have even estimated there may have been a minor global catastrophe nearer to 9,500BCE. So what that leaves us with is a time discrepancy of a few thousand years, and Hoagland fails to acknowledge that areas of the Fertile Crescent were readily on their way to building vast empires and major civilisations at the time the Maya believe the 13th Baktun began in an epic flood. So that’s rather a niggling little fly in the time-scale ointment. And finally, there’s this: the theoretical and much-feared multi-planetary alignment – not to mention an alignment with the galactic core – which will not only coincide with 21 December 2012, but the collective gravity of which, or whose collective disruption in the ‘Hyperdimensional Torsion Field,’ as Hoagland would have us believe, will very probably cause the Earth to a) tip suddenly and violently off its axis; b) experience a massive ‘crustal displacement’ as the outer shell of the planet slips disastrously over its molten inner core; and/or c) cataclysmically switch magnetic poles and unleash an extinction level event. Most of these calamitous bits of unpleasantness were also predicted in the 1997 book 5/5/2000 by Richard Noone. As of this writing, they have yet to occur. Problem is, in all of the research I’ve been able to do on the subject, there hasn’t been one scientific or scholarly shred of proof to satisfactorily or conclusively confirm an alignment of any sort on 21 December 2012. Mercury, Venus, Earth, Mars, Jupiter, Uranus and Neptune ‘aligned’ earlier this year (2012) in May, but that alignment was only relative to where you were standing on the planet at the time. As far as aligning with the galactic centre… kids, we go in a circle round the galaxy. Think about it. We’re always aligned to the galactic core no matter where we are. Seriously. And before anyone objects and says we’ll be crossing the ‘ecliptic,’ keep in mind that the ecliptic is an imaginary line scribbled on charts. It’s something humans came up with and is entirely arbitrary and has no meaning, purpose, or value outside the confines of this planet. And it means nothing when we cross it or get aligned with it. It happens with great frequency and nothing has ever happened. As The Hitchhiker’s Guide to the Galaxy reminds us, Don’t Panic!